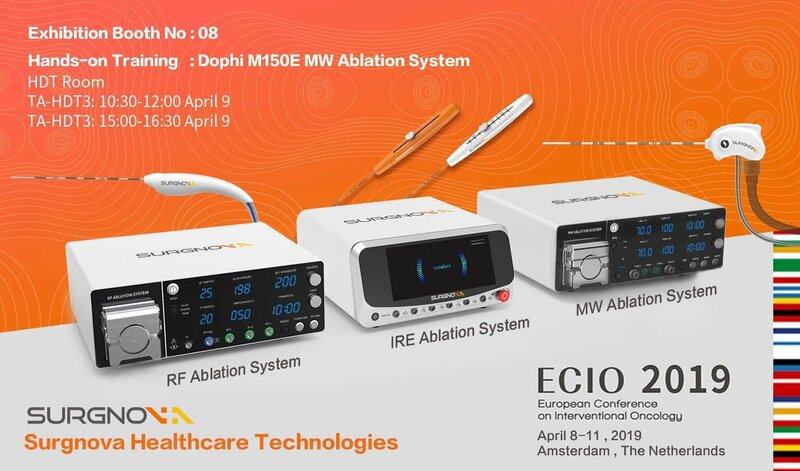 Surgnova Ablation family of Dophi M150E MWA System, Dophi R150E RFA System and NanoCure Electroporation System will showcase together at ECIO 2019. Surgnova Ablation family bring better clinical outcomes with high precision, safety, reliability and cost effectiveness. Visit Booth # 08 also our MWA Hands-on Training to learn about Surgnova ablation portfolio designed to address various tumor ablation challenges. # ECIO 2019, Amsterdam, The Netherlands, 8-11th, April.